My Memories has a super cute freebie out right now! It won't last long, so don't wait!! Don't have the My Memories Suite, the powerful and affordable Digital Scrapbooking Software? Click here to purchase the program and use Promo Code STMMMS7975 at checkout to receive $10 off as well as a $10 gift certificate to use in the store! Music offers Kate sweet refuge from her troubles . . . but real freedom is sweeter. In Westerville, Ohio, 1855, Kate Winter’s dreams are almost within reach. As the first woman to graduate from Otterbein College, she’ll be guaranteed her deepest wish: escape from the dark secret haunting her family. But with her mother determined to marry her off to a wealthy man, Kate must face reality. She has to run. Now. And she has the perfect plan. Join the upcoming musical performance—and use it to mask her flight. 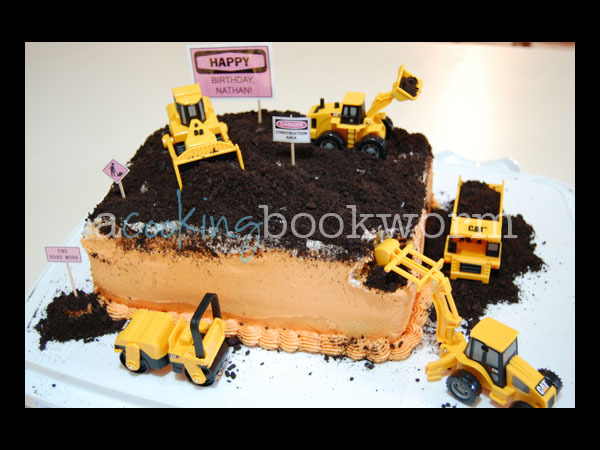 We just celebrated another birthday in our house. 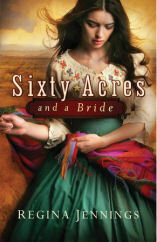 Today, CFBA introduces Sixty Acres and a Bride by Regina Jennings. Though facing eviction, Rosa can't keep herself from falling in love with the countryside and the wonderful extended family who want only her best. Learning the American customs is not easy, however, and this beautiful young widow can't help but catch wandering eyes. Where some offer help with dangerous strings attached, only one man seems honorable. But when Weston Garner, still grieving his own lost love, is unprepared to give his heart, to what lengths will Rosa go to save her future? This is Regina’s first novel, but you wouldn’t know that. 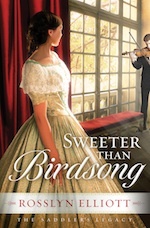 After losing her husband in the Civil War, Carrie Daly is scared she will never have the family she longs for. Eligible bachelors are scarce in Hickory Ridge, Tennessee, but Carrie Daly has found love. Not the weak-in-the-knees kind, but something practical. Still, she isn't quite ready to set a wedding date with Nate Chastain. Despite objections from the townsfolk, and her fear that true happiness has eluded her, Carrie is drawn to Griff's kindness and charm. 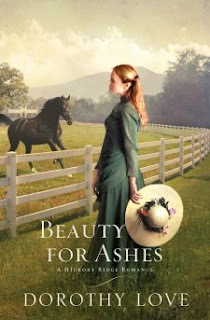 It will take a leap of faith for them to open their hearts and claim God's promise to trade beauty for ashes. 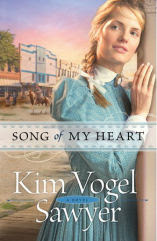 This week, CFBA is introducing Song of My Heart by Kim Vogel Sawyer. Who hasn’t heard of the Duggars? This super-large family is awed by their fans and censured by their critics. I have only recently begun watching their TLC show, 17/18/19 Kids and Counting (depending on which season you’re on), after I received two DVDs for Christmas. After watching several episodes, I couldn’t help but wonder how in the world do they do it? 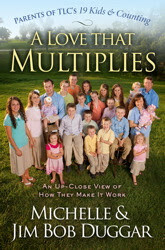 !, so I was excited to receive a copy of their second book, A Love That Multiplies, for review! Admittedly, the first third of the book had me in tears. Most of the beginning of Michelle and Jim Bob’s second book deals with the scary circumstances surrounding Josie’s birth and the difficulties of a preemie in the following months. My situation wasn’t the same, but my husband and I lost our first baby boy at 26 weeks, and the Duggars’ story reminded me of that frightening time in my own life. The items are all in .png or .jpg format, so you can use them in any program, but if you haven't bought the My Memories Suite yet, I highly recommend it!